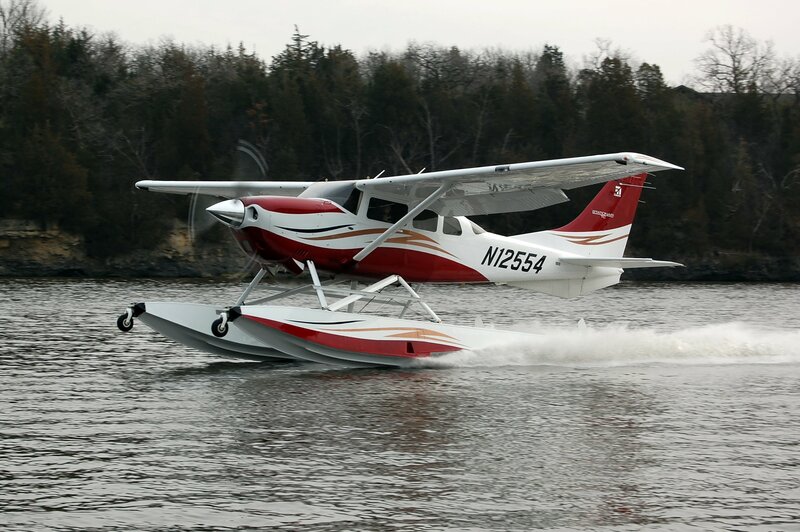 Wipline® 3450 Floats | Wipaire, Inc.
For outstanding performance and reliability on hard surface runways, grass strips or your favorite lake or river the Wipline 3450 floats give you the best of both worlds. 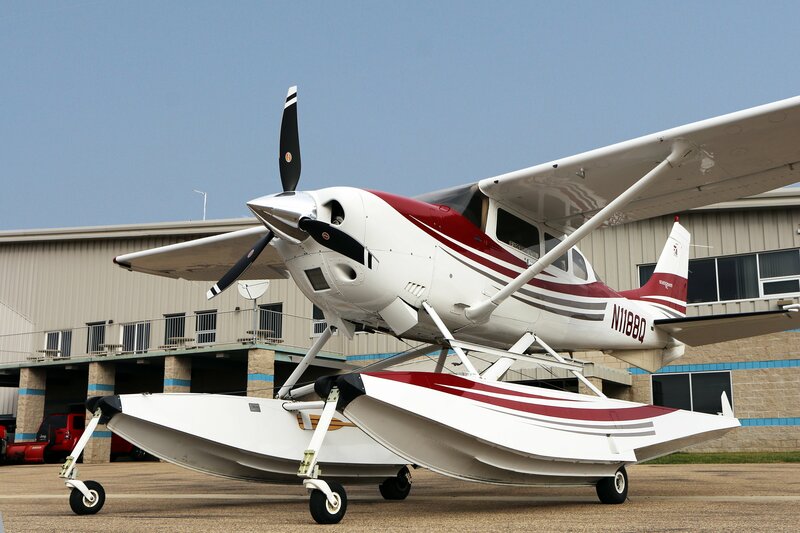 The Wipline 3450 float was designed using the latest C.A.D. (Computer Aided Design) technology. The aluminum parts and skins are laser cut and all rivet holes are pre-punched. This means replacement parts are a perfect fit. The main keel has a removable wear strip for ease of maintenance. 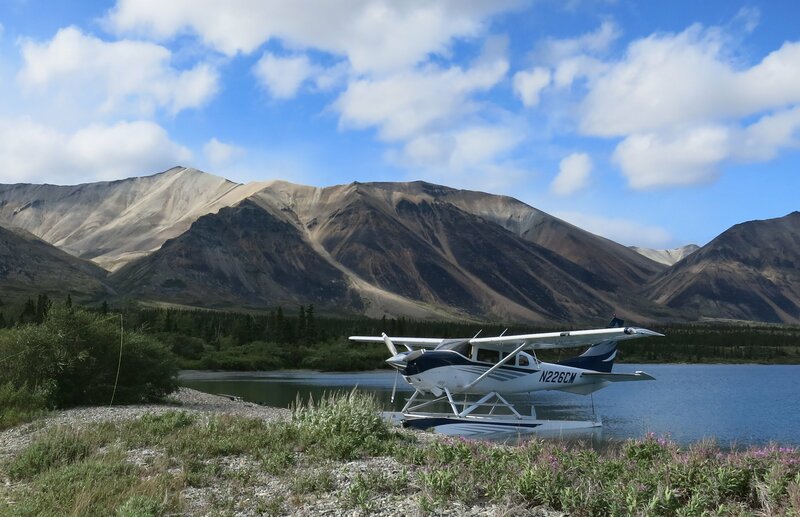 With this technology we are able to build the 3450 float to be ultra light and still north-country rugged. 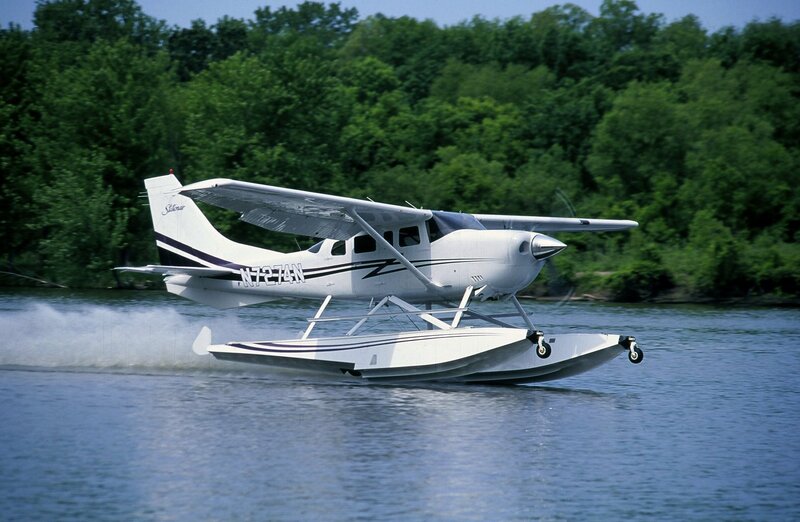 2) 206H (normally aspirated) has a gross weight restriction of 3,775 lbs for land takeoff only. 3) Exchange weight is equal to the float installation weight minus aircraft landing gear weight. 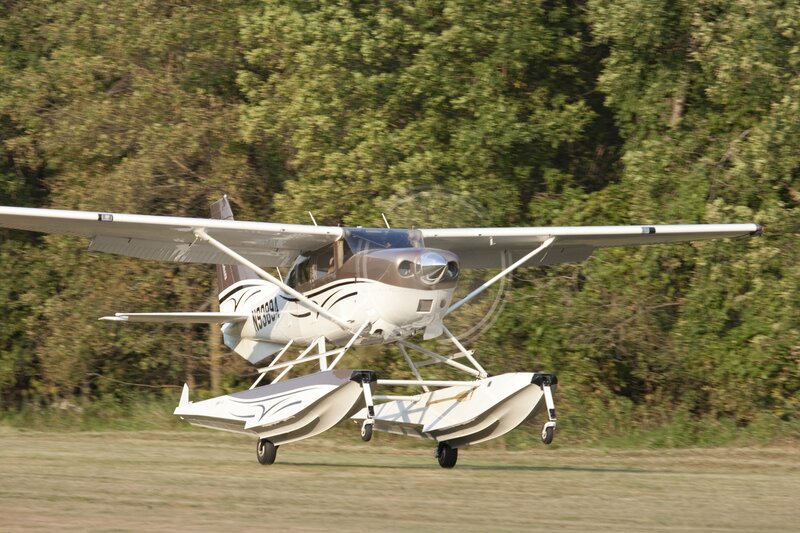 All amphibious floats include landing gear advisory system. Float rigging and FAA STC paperwork included. 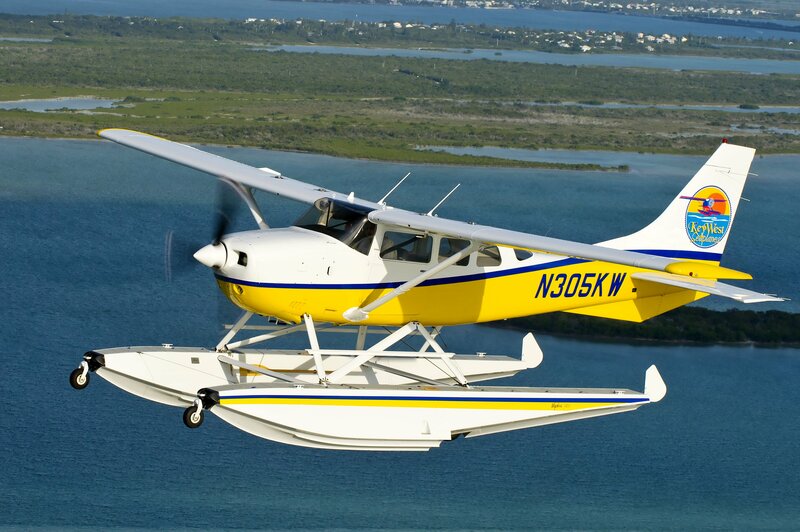 Call for discount details if the aircraft has seaplane modifications previously installed. Overall base color to match aircraft is included. Two trim colors to match scheme of aircraft is included. Additional trim colors quoted per color and paint scheme. Complex paint scheme, inboard and bottom painting of floats, please call for pricing. Paint information and paint scheme will be requested at the time of deposit. If paint colors are not provided, we will match colors to the best of our ability, but will not guarantee 100% match or a definite delivery date. Customer choice of polyurethane or silver-gray submersion paint is included. There is no paint warranty for polyurethane floats stored in water for extended periods. Pricing for models E & F assume the aircraft is equipped with a factory float kit "B" and all necessary components including steering bungee, steering bellcranks, ventral fin, tail stinger, lifting rings, seaplane rudder, seaplane prop and windshield V brace are installed on or with aircraft as the case may be. windshield V brace are installed on or with aircraft as the case may be. same price as the model H float kit. control parts. 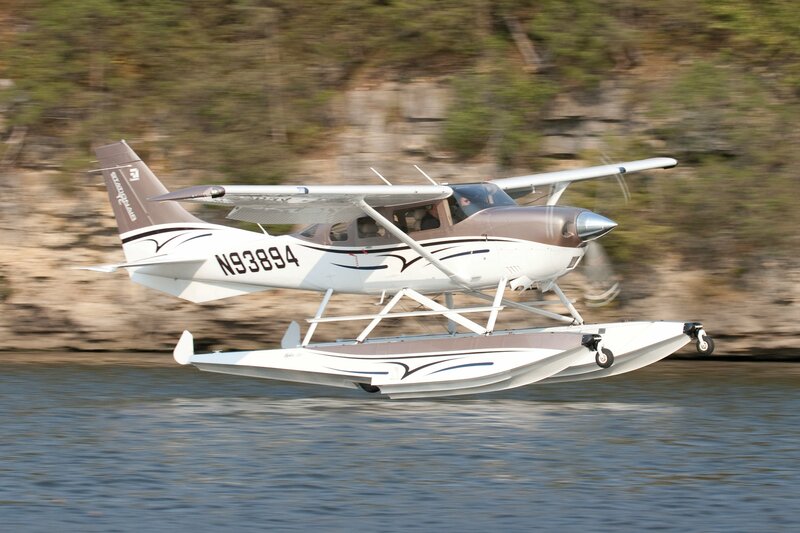 Hartzell landplane/seaplane propeller is required but not included in above pricing for 206H and T206H. Factory installed WX500 Antenna repositioning and skin mapping - $1,900 – T206H and 206H models. Aircraft equipped with air conditioning, add $10,675 for hydraulic water rudder retract system (installed). for current pricing) plus $2,310 for installation. 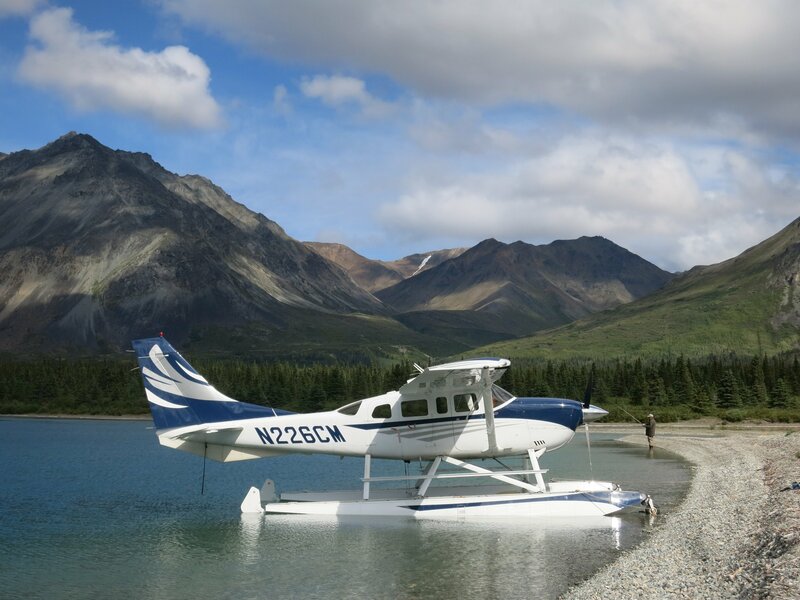 Cessna 206 with Soloy conversion - add $550 for installation of steering bungee bracket. Prices in U.S. dollars, FOB St. Paul, Minnesota, USA, and are subject to change without notice. Prices do not include taxes, duties or tariffs. They also may vary if custom work is required or requested. Effective for floats quoted after December 1, 2017.